I got a new lens today. My partner Allen picked it up for me. 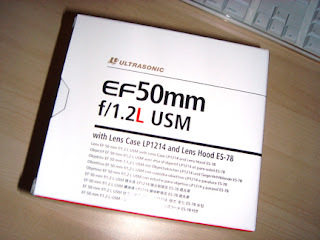 It's a Canon L lens, 50mm f1.2. This is such a sweet lens with L glass. At f1.2 the depth of field is phenomenal!! Can't wait to try it out. I'm so excited!